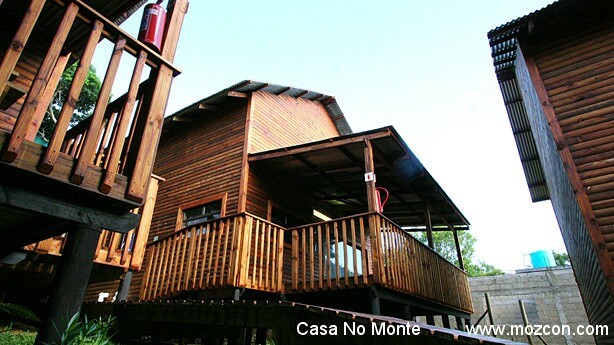 Gala-Gala Eco Resort & Diving is Nestled in a picturesque indigenous bush just south of Ponta do Ouro, The Resort offers the space and scenery for those who want a tranquillity and relaxing holiday. The resort boasts deluxe cabanas for the more discerning visitors, highly popular standard reed cabanas for families and groups and spacious private campsites. Gala-Gala Eco Resort offers a unique holiday experience in Ponta d Oura difficult to match according to our many loyal returning visitors. Gala-Gala Eco Resort is an owner managed operation, ensuring personal attention and service. With many alluring features, there is a stunning Moroccan style boma/braai area with a splash pool, a cosy, rustic bar and the Blue Zebra café for resident guests to enjoy delicious and interesting food. It boasts a quiet sandy beach just a few minutes’ walk from the resort, Blowing Bubbles diving on site, amazing butterflies and bird life, and pristine amenities. 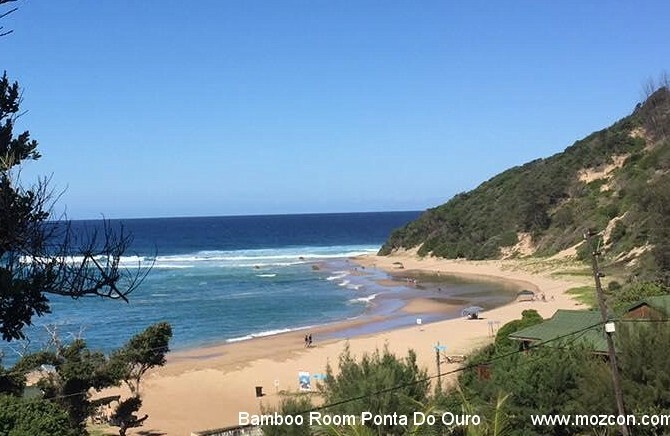 Ponta do Ouro bay is very fortunate to have regular visits from dolphins and seasonal hump back whales. Dolphin swims, snorkelling excursions and deep sea fishing can be arranged at the resort. 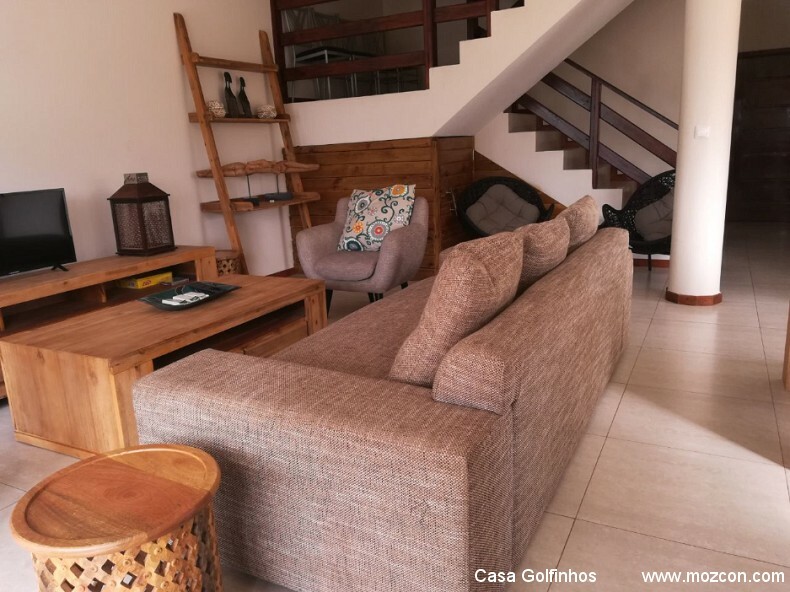 A stone's throw away from the bustling town of Ponta do Ouro, Gala-Gala Eco Resort is a safe quiet and friendly environment to enjoy your holidays all year round. Gala Gala Eco Resort - Deluxe Reed Cabanas - Our deluxe cabanas, are set under the cool indigenous trees. We have one 2 sleeper and two 4 sleeper units. 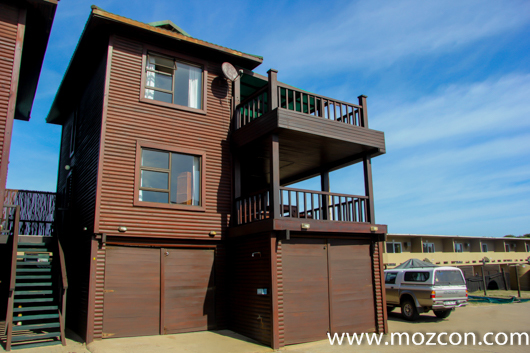 Each unit has a beautifully appointed bedroom, which sleeps 2 people. 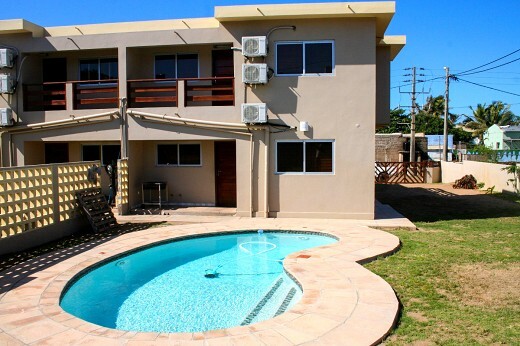 There is a spacious ensuite bathroom, fully-equipped kitchen and a dining and braai area in front of each unit. Your unit also comes with a hammock, fan, mozzie net, plug points & electric lights. 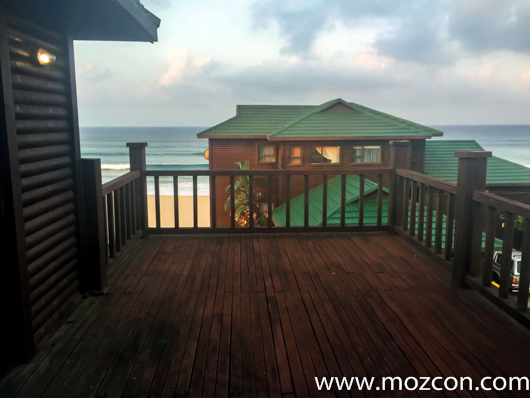 The 4 sleeper deluxe cabanas have an additional reed cabana located adjacent to the main cabanas which can be double or twin share and has electric light, mozzie net, fan and power, it is ideal for children or additional friends who want to join. Includes towels. Kitchens and cabanas are serviced daily. The splash pool area with the bar and café is ideal for those who would like to spoil themselves and choose a catered option for their stay. Gala-Gala Eco Resort - Standard Reed Cabanas - Our standard reed cabanas are nestled in bushy, tropical gardens. There are 2 x 4 sleeper (single beds) and 7 x 2 sleeper reed cabanas (double or twin available). There are electric lights, power, fans and mozzie nets in all accommodation. They have spacious, spotless shared bathrooms, showers and toilets with fun interesting finishing’s. There is a large well equipped communal kitchen for those who want to self-cater which has gas cookers, fridges and all the necessary cooking equipment and utensils. There is a large, social dining area, boma/braai area, splash pool, bar and café offering some unique dining experiences. 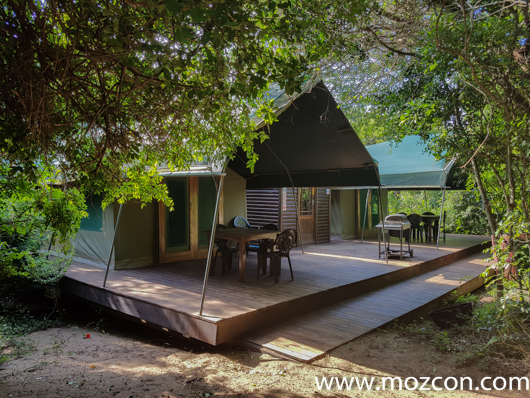 The bush tents & reed cabanas are ideal for families, friends and social groups. Gala-Gala Eco Resort Private Camp sites - Gala-Gala Eco Resort offers private campsites which can accommodate up to 12 people. Our camp sites are very private as each camp site is enclosed by a reed fence. Each private camp site has its own bathroom (toilet paper is supplied), outside wash up area, lights and power (SA 3 pin plugs). 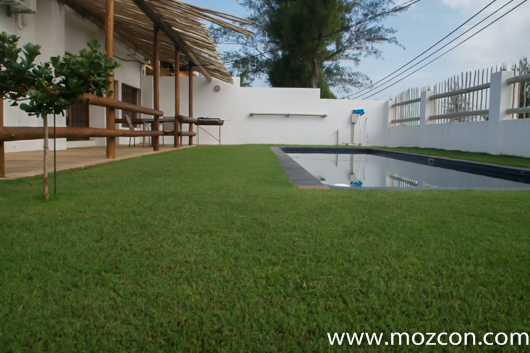 The sites are grassed and level. Cleaners can be hired for a daily fee. Each site is approximately 12 x 20 metres so they are ideal for families and big groups. Minimum 6 people per campsite in high season. There is a large swimming pool located adjacent to the camp sites with a spacious grass area and braai facilities for picnics.